Replicated the plastic cover for the GoToStar Declination axis motor in 123D. The current cover is too small or tight on the gear side of the motor assembly and causes some rubbing. While I couldn't find my Vernier calipers, I carefully measured the cover, blew out the cobwebs (from my noggin), and built a facsimile. 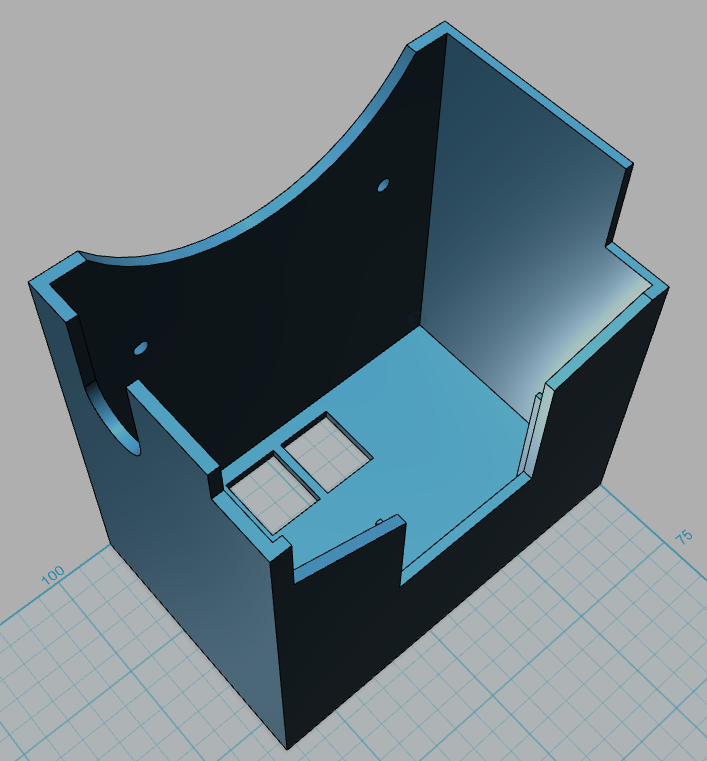 I modified the case design slightly as I went along—although I've yet to push out the side causing the interference. It was a little frustrating at times, relearning the tool; yet I am very happy with the result.